Why Does Your Magento E-Commerce Site Gets Hacked | Pebble Infotech Pvt. Ltd. Undoubtedly, Magento is a stable and secure platform with the best security features. But a Magento site will be hacked if you don’t pay attention to certain parts of the system. Recently, we received few complaints from our clients notifying that their site got attacked or hacked. An attack on a Magento e-commerce can do severe damage to the entire business. It can drive away your clients, prevent your customers from making a purchase or even worse it can shut down your entire business. 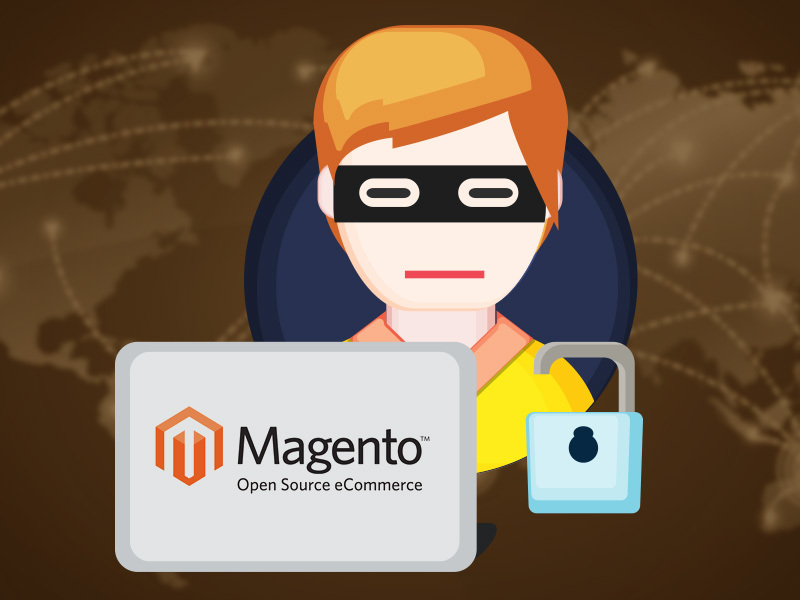 Usually, hackers attack Magento e-commerce platform for three different reasons. In this situation, the hacker will try to deface your Magento e-commerce platform to show his hacking skills to his friends. The bigger your site is, the more applause he gets for his hacking skills. Usually, the hacker will deface your home page and delete some files. In such cases, the hacker will not cause any severe damage to your e-commerce site. These exploits are usually done by taking advantages of a weak password in an Admin area, FTP, or other areas. Besides that, hackers might also get access to your Magento E-Commerce platform from your image upload directory. If your image upload directory is vulnerable hackers can easily enter into your site. You can eliminate this problem by restoring the infected site from your backup. Most often, your database will not be affected. These types of hacks are really difficult to detect. Mostly, hackers will try to infect Magento e-commerce site which belongs to an entrepreneur from a different time zone. By doing so, they won’t be affected by the law enforcement of your country. So for precaution, you might need to have your back in at least two different places. And it might be hard for you if you have to start your site all over again from the scratch. In such cases, the hacker will not try to damage your site physically, instead, they will create a folder somewhere on your site and will ask your customers detail via email or Facebook. And, if they manage to get hands on their username and passwords, they will leak the information on other servers. Apart from that, they will also try to use the email automation of your site and send out spam email messages to your customers. The main reason behind this is including folders on your site with 777 permission. This allows random users to write codes into your server and modifies your site without your permission. In most cases, these kinds of exploits are usually detectable. Google will examine your site and if it detects such malware, possibilities are Google will block your site’s access from their SERP and chrome browser. Note: This is why you need to build your Magento e-commerce site with a good server hosting company. In order to clean your system, you’ll need to remove all the infected files and then report to Google about the changes made. So, in this case having a backup is more than important. It would be impossible for you to crawl into all the Magento directories and comb out the infected files. With a backup, you can easily delete everything and restore all the files again. Being said, all good things come with a price, this makes Magento no exceptional. All Magento e-commerce site have one thing in common. They take online payments and save customers information, which makes Magento a Holy Grail for hackers and data thieves. We’ve seen Magento e-commerce platforms being hacked time after time. In this case, hackers modify few of the important files to extract customer details and credit card information including expiring dates, CVV2 codes, and more. Hackers place fake extensions on Magento download directory / module installation. If the file is placed in the correct directory, Magento will run the extension and try to install the module. This has happened not only to local brands but also to some of the monster sites on the internet. Some Valuable Tips to Small and Medium sized e-commerce site owners. • Use strong and secure password in every element of your site including CMS, Hosting and Payment services. • Frequently monitor your database and files. This will help you identify any unwanted changes and modification in your site. • Host your e-commerce site from a new hosting account. Remember, for most hackers, your neighbor sites might be the point of penetration for your e-commerce site. If you isolate these sites there will be fewer chances for your e-commerce site from being hacked. • Don’t forget to install a website firewall into your system. This will protect your e-commerce site from different web-based attacks. Also, update and monitor your firewall frequently so that no new types of attacks could bypass it. • Regularly monitor your website and look out for security issues, both on front-end and back-end.